Airlines aren’t the only ones nickel-and-diming travelers. 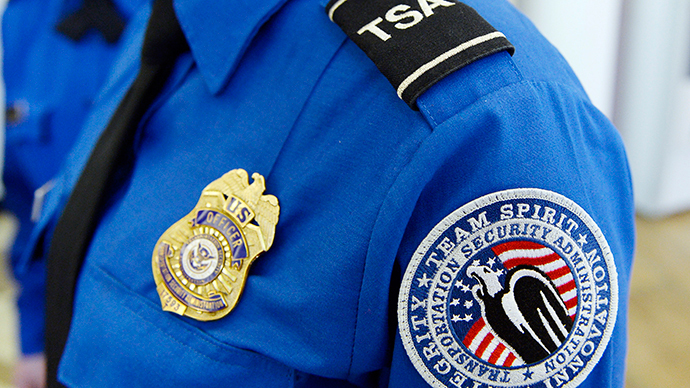 A new report reveals that the Transportation Security Administration collected nearly $675,000 in loose change during the last fiscal year. The TSA released its annual fiscal report on Monday, and the document confirms that the agency, a branch of the Department of Homeland Security, made more than half a million dollars last year just off of misplaced pennies, quarters and other assort change left behind at security checkpoints and x-ray trays. According to the report, the TSA hauled $638,143 in loose change in 2014 — almost double the $383,414 the agency collected in 2008, according to CNN. Federal law passed in 2005 allows the TSA to use unclaimed money on anything relevant to aviation security, and the agency has been pulling in six-figures a year since at least 2008 by scavenging leftover coinage. This year’s takeaway signals a 78 percent increase from 2013, however, meaning the TSA could be collecting over a million dollars annually from passengers if the trend continues for another two years. "TSA makes every effort to reunite passengers with items left at the checkpoint, however there are instances where loose change or other items are left behind and unclaimed," the agency said in a statement to NBC News. "Unclaimed money, typically consisting of loose coins passengers remove from their pockets, is documented and turned into the TSA financial office." According to a local NBC affiliate, travelers that passed through the greater New York City region’s three major airports — JFK, LaGuardia and Newark — left behind roughly $75,000 during the last fiscal year.